We all know that Ryan has a little after school snack cookie problem. He gets it from his mother. 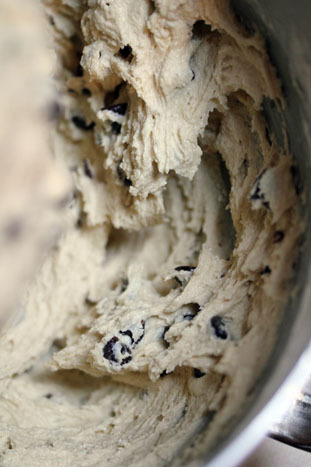 Thankfully I have learned to streamline the process and do a lot of freezing of cookie dough! The other day I was working on the dough, and mini muffins at the same time. I usually let the boys have a small handful of chocolate chips to enjoy while we wait for the cookies to finish baking. As I was getting the other ingredients out for the muffins, I turn around to this scene. 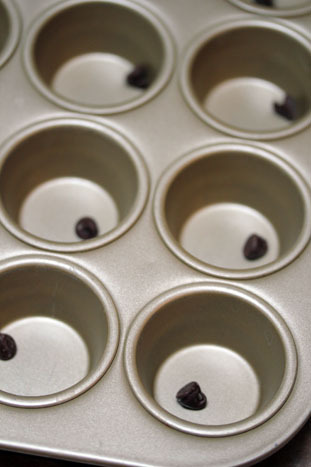 Rather than eat the chocolate chips, the boys started counting them out in the mini muffin pan that was already on the counter. So we had a little impromptu math lesson. For Charlie (almost 4) we counted by ones and by twos. For my little Kindergartener, we counted by twos, threes, fives, and talked about pairs and did a little multiplication intro, talking about the lines of four in the muffin pan. And he was quite proud of himself and his counting during this impromptu (and tasty!) math lesson! 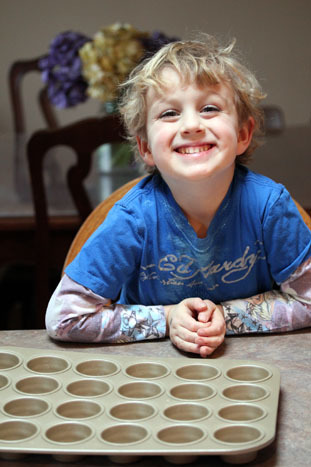 In what ways do you incorporate teaching math or other educational skills while working in the kitchen with your kids?! This is great! While I do not have any kids yet (hopefully not for a while), I can say that my mother taught my two sisters and myself to count with candy such as M & M’s allowing us to concentrate in order to get to eat them if we counted successfully! When our girls were younger, the wife often baked with them. They worked on frations while measuring flour, sugar, ect. They also had to multiply and divide to figure out how many cookies or cupcakes we each got to make it even so we each received the same amount. 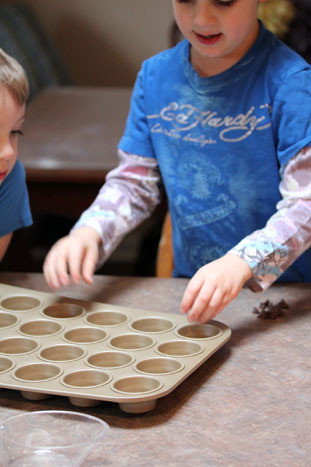 Baking together is a great way to incorporate different math activities.